Changing the rules once again for issuing ration cards to the poor, the State Government has relaxed the norms, which has come into place with immediate effect. Addressing a press conference here on Thursday, Food and Civil Supplies Minister U.T. Khader said that from now on, submitting a self declaration that the annual income of the family of the applicant is below Rs. 1.2 lakh per annum and a copy of the income certificate are sufficient to procure a BPL ration card. Hitherto, people had to apply for ration card and the Food and Civil Supplies officials would verify and make a spot inspection before issuing the card. Khader however said the Department will do a random check and ‘cheating cases’ will be filed against those who have made false self-declarations. The Minister also announced that ration card holders, from April, will have to procure their entitlements before the 15th of every month. However, Deputy Commissioners (DC) will have the powers to extend the deadline for procurement of entitlements by PDS beneficiaries depending on the situation, he added. Later in the day, Chief Minister Siddharamaiah launched ‘Anna Bhagya Plus’, wherein rice allotment for BPL card holders will be increased from 5kg to 7kg per individual per month from April 1. 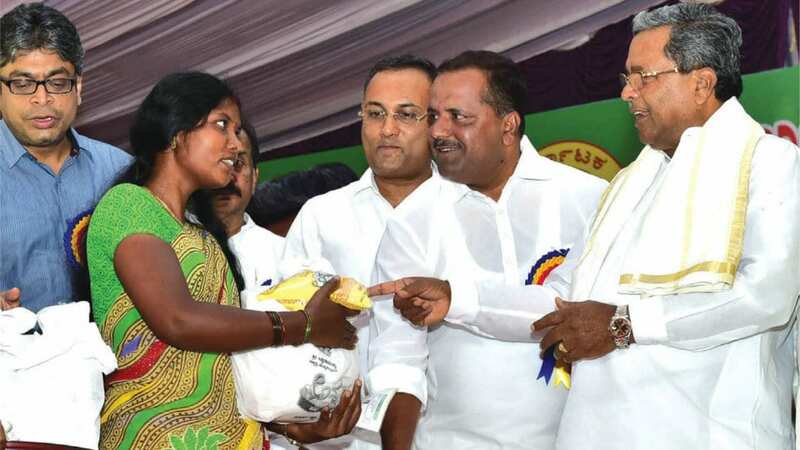 KPCC Working President Dinesh Gundu Rao said that the programme has been named ‘Anna Bhagya Plus’ as the Government has met the people’s request to enhance rice allotment.The programme held at Freedom Park was attended by Ministers K.J. George and Roshan Baig, Food and Civil Supplies Principal Secretary Harsh Gupta.